PT Infomedia Nusantara - Infomedia or widely known as "Infomedia by Telkom Indonesia" is well-established company in Indonesia with core competencies in the field of business process management (BPM) services. Infomedia by Telkom Indonesia has its business activities focused in four sectors, namely business process outsourcing, customer relationship management services, information technology outsourcing, and knowledge process outsourcing. Infomedia by Telkom Indonesia was initially established under the name PT Elnusa Yellow Pages in 1984. Later in 1995, the Company was officially organised under the name of PT Infomedia Nusantara. Infomedia by Telkom Indonesia is a member of PT Telekomunikasi Indonesia (Persero) Tbk (Telkom Indonesia), the largest state-owned telecommunication services providers in Indonesia. 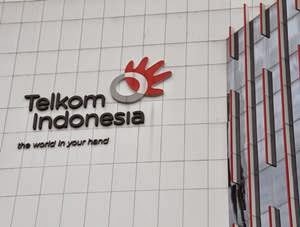 Headquartered in Jakarta, Infomedia by Telkom Indonesia now has 1 subsidiary company, namely PT Infomedia Sulusi Humanika with core business in human resources (HR) services. Background in University Degree (S1) with major study in Techical Information from best university with minimum GPA 3.00. Willing overtime and the service beyond the city. Background in University Degree (S1) with major study in Electrical Engineering, Telecommunications, Information from the best university with minimum GPA 3.00. Strong understanding and have good knowledge of IP networking in particular telecommunications technology, WiFi, FTTH Network. Strong communication and good coordination skills. Strong understanding of service management (ITIL, eTOM). Master business of operating a contact center. Background in University Degree (S1) from the best university with minimum GPA 3.00. Previous experience as a communicator from company to employees and have the ability to manage personnel administration. Willing to follow the selection process in Jakarta. JobsCDC.com now available on android device. Download now on Google Play here. Please be aware of recruitment fraud. The entire stage of this selection process is free of charge. PT Infomedia Nusantara - Officer, Senior Officer Infomedia Telkom Group October 2016 will never ask for fees or upfront payments for any purposes during the recruitment process such as transportation and accommodation.